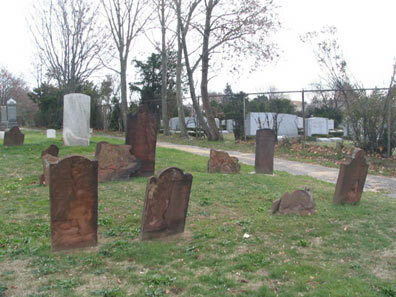 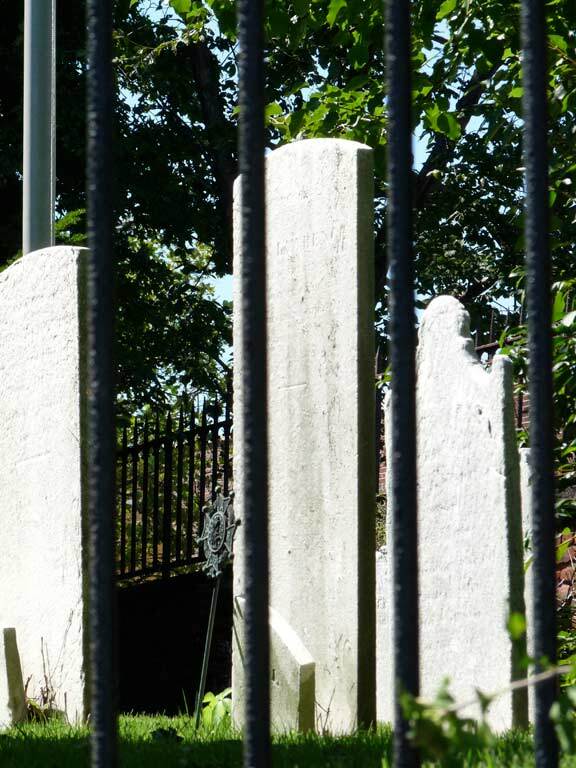 Queens has an abundance of small, out-of-the-way, ancient cemeteries, many of which go back to the 1700s, some of which are barely suspected by neighbors. 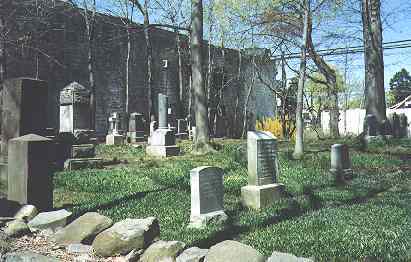 Ancient burial grounds are alngside two-family homes, in parks and even UNDER a lot of places they wouldn’t be expected. Though the historical marker says ‘founded 1703’ some sources indicate thet the burial ground, as well as the surrounding fence, date all the way back to 1656. That date would make the plot even older than Prospect Cemetery in Jamaica. Whatever the date the cemetery is very old. 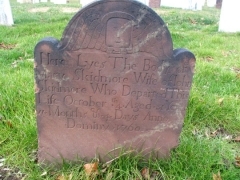 The Lawrences were a prominent family in the early days of Queens, and produced some historically significant figures…for example, it was Captain James Lawrence who uttered the immortal words “Don’t give up the ship!” while commanding the USS Chesapeake vs. HMS Shannon during the War of 1812. 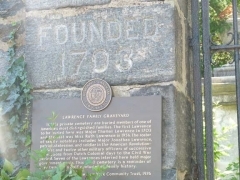 The Chesapeake was defeated; Captain Lawrence was killed; the war ended in stalemate. 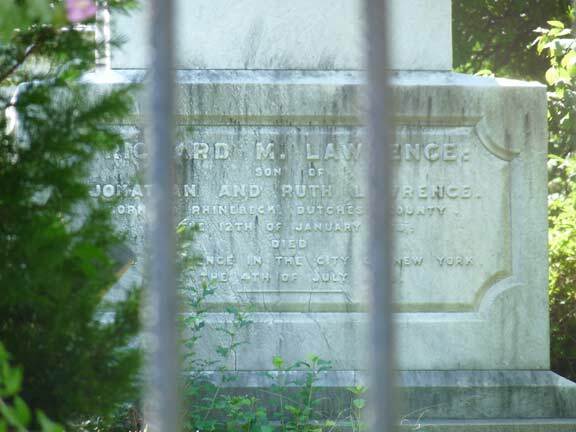 Abraham Riker Lawrence was a NY State Supreme Court Justice and William Beach Lawrence was the lieutenant governor of Rhode Island. 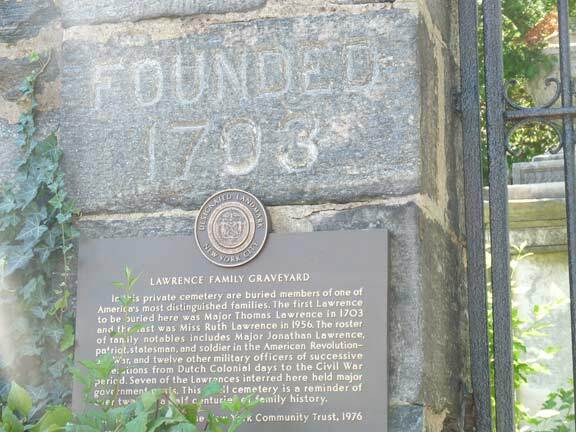 A second Lawrence family cemetery is tucked away in Bayside, at 216th Street alongside the Long Island Rail Road. 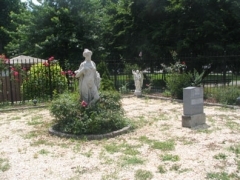 This cemetery is maintained by the Bayside Historical Society, which keeps it well-maintanied and protected. 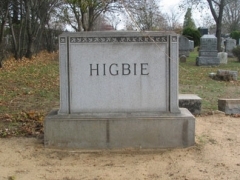 A mayor of NYC lies here, though I forget which one…I’ll do the research and post it here as soon as I know. 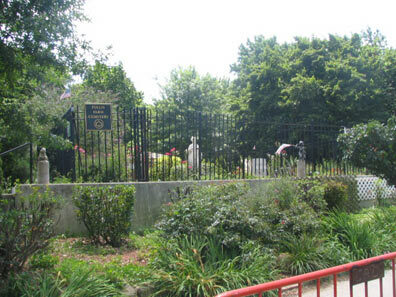 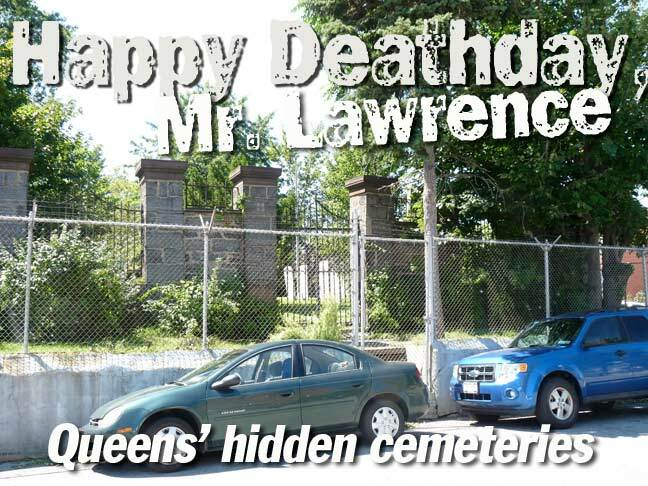 There’s a third Lawrence family cemetery, in Astoria, at Ditmars Boulevard and 37th Street. To my knowledge, it was forgotten long ago and all signs of it have vanished. 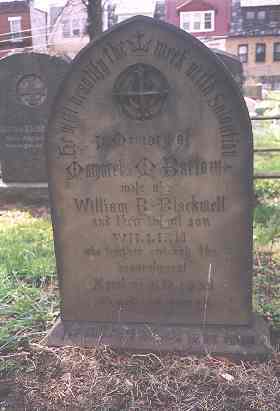 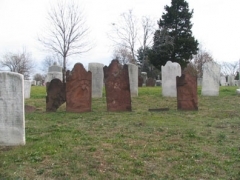 This little known cemetery contains several ornate stones from the mid-19th Century including some from the pre-Civil War era. 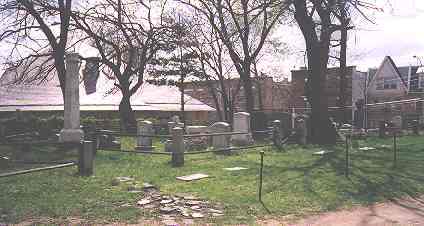 The Blackwell family (stone at left) gave its name to Blackwells Island, which became Welfare and then Roosevelt Island. Another burial ground that has been ‘rediscovered’ in recent years is the old Remsen Cemetery at Woodhaven Boulevard and Trotting Course Lane. 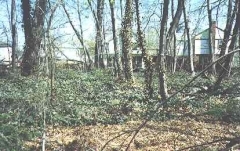 It was also abandoned and overgrown with weeds for decades. 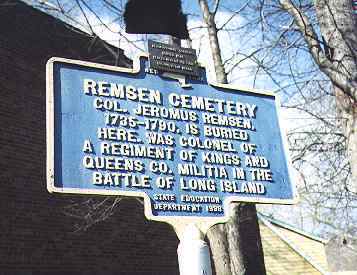 The cemetery marks the repose of Revolutionary War hero Jeromus Remsen. 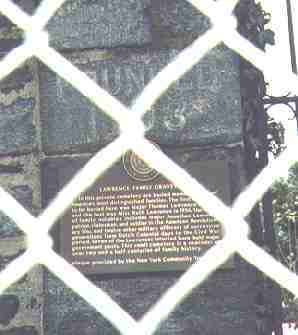 Little is known of the Pullis family, whose farm was located where Juniper Valley Park is presently. 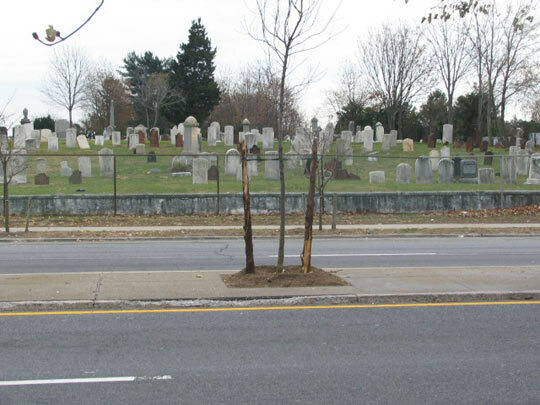 The location of their old burial ground is marked by a single stone, protected by an iron fence at 81st Street and Juniper Boulevard North. 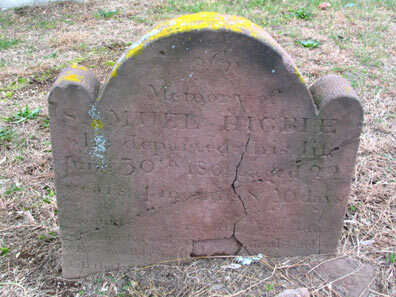 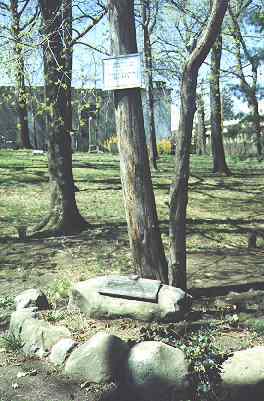 This is one of the last relics of Springfield Village, and has several stones dating back to the mid-to-late 1700s. 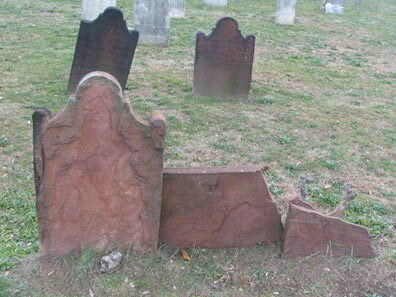 The carvings on 18th Century stones facing west have all worn away; the ones facing east have fared better. 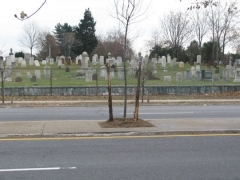 There are obscurer cemeteries in Queens that are even less obvious to the passerby. They have been allowed to deteriorate and the stones buried or lost…or have even been paved over. It’s an empty lot on 182nd Street near 73rd Avenue in Fresh Meadows, but its disposition has been the source of some controversy in recent years. 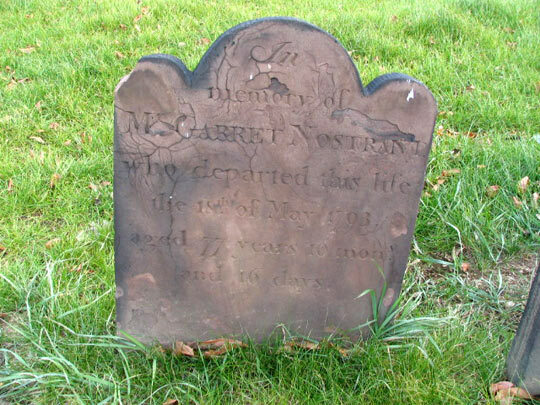 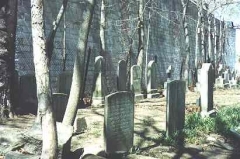 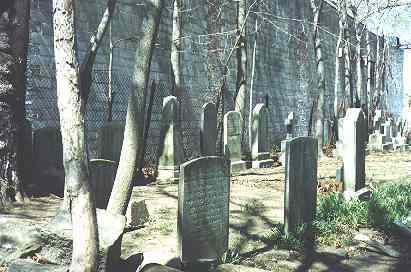 It contains 77 Colonial-era graves dating back to 1730. 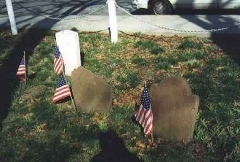 The markers have either been buried or stolen in the intervening years. 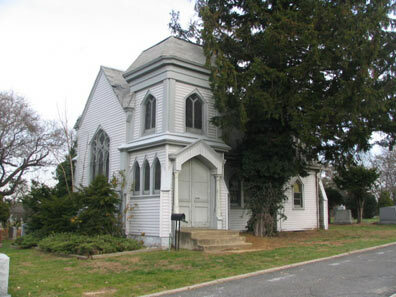 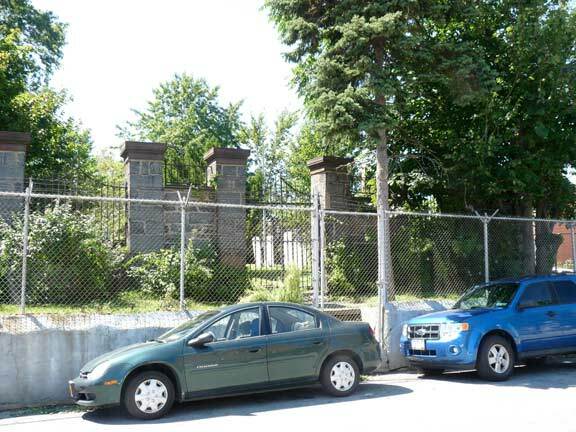 The owner of the property would like to build on it, while the Queens Historical Society and the Brinkerhoff family would obviously like to keep it as a historic cemetery. 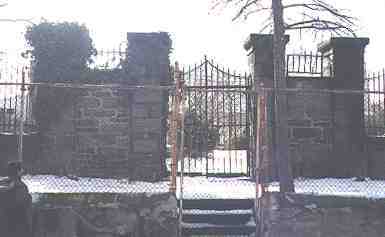 As of fall 2000 the case is still being hashed out in court. 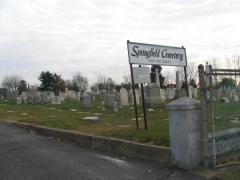 Brinkerhoff Cemetery, basically unknown, is mainly unsuspected by its neighbors in Fresh Meadows, Queens. 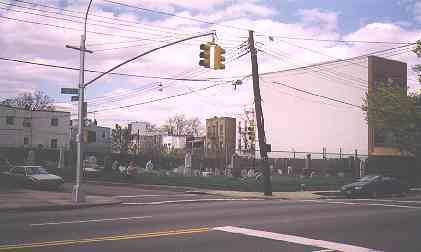 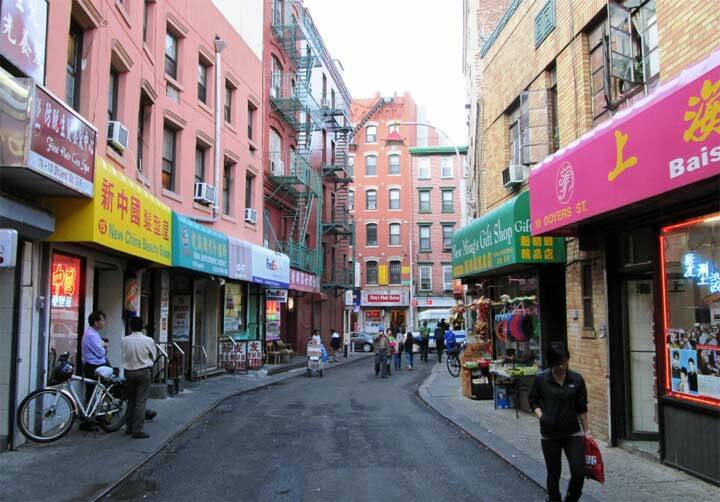 This part of Queens remained largely open fields and farmland until the early to mid-20th Century. 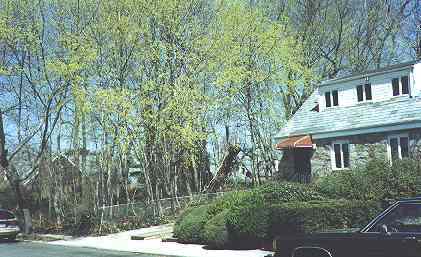 In colonial days the region was called Black Stump, and colonial road Black Stump Road remains today as 73rd Avenue.